Family owned since 1915 registered as a NZ Historical Place Cat.1. My Grandfather traded with the Gumdiggers who were in the upper regions of the Valley. He ran a Trading post and a team of pack horses to take them supplies. 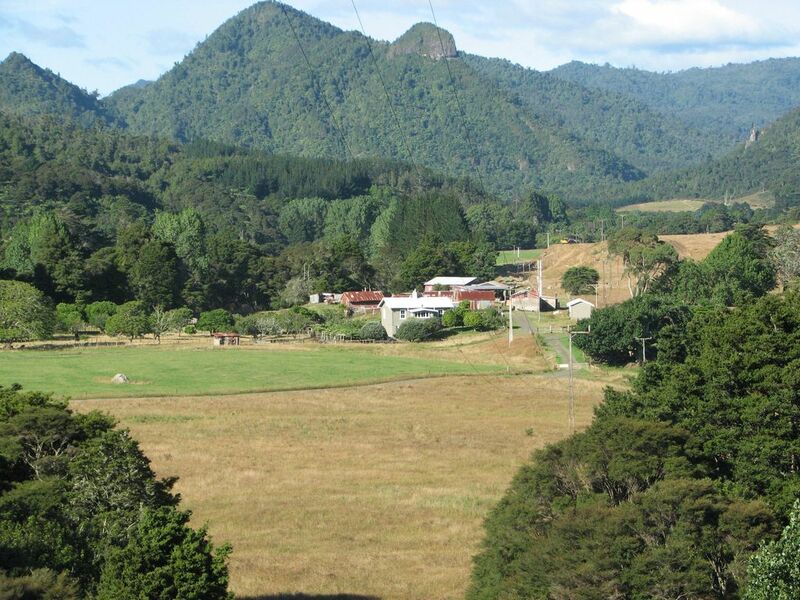 The old buildings are still standing, the Kauri Mill, Trading Post, Blacksmith forge, Wine shed, Stables and Wool Shed. The property is still a working farm. The cottage is very cosy, with a coal range in the dining room and a fire place in the lounge. Fully functional kitchen plus a BBQ. Mobile reception for Spark and Vodafone. The river is on the boundary good trout fishing and a great swimming hole nearby. Quite an array of exotic animals and guests are free to roam around the buildings but preferably not into the paddocks where the animals are unless accompanied by the host. Farm rule regarding gates, if its closed, close it. DOC bush walks to the Pinnacles further up the valley. History tour of the old buildings available on request. Access to the property is via a ford river crossing, in the event of heavy rain there will be no vehicle access. On these occasions there is a swingbridge access across the river and you will be met by a tractor to transport you and your bags to the house. The host will be around working on the farm so available if needed. Continental breakfast supplied. Other essentials, salt, pepper, oil, tea, coffee.